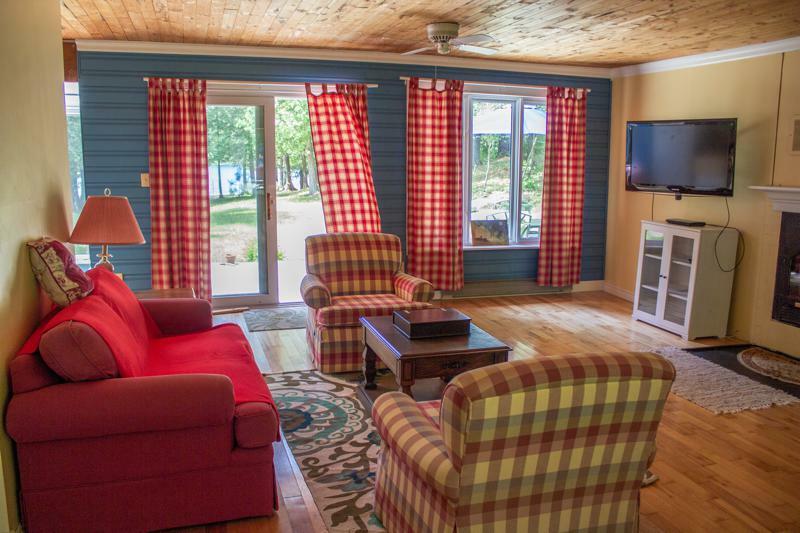 For all you pet lovers, we are happy to present another SPF (Super Pet Friendly) cottage. 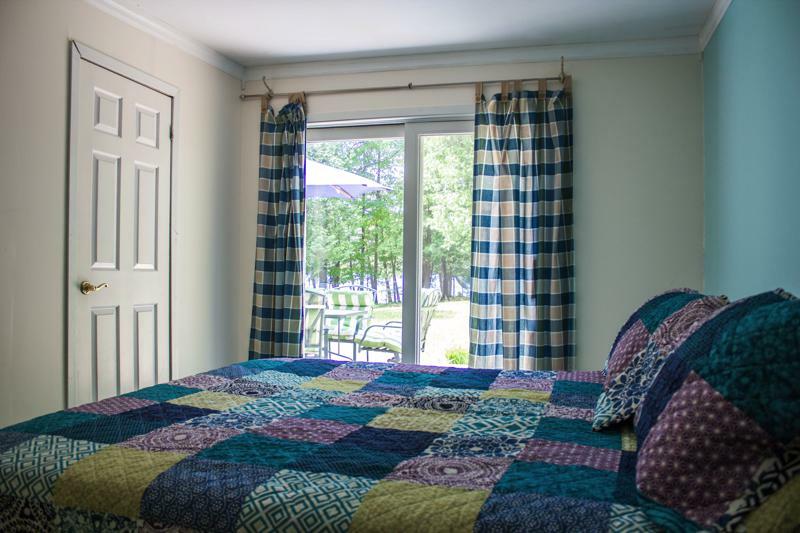 We know how many of our guests want their pets to be as welcome as they are, and you’ll find this at Bancroft Lake House. 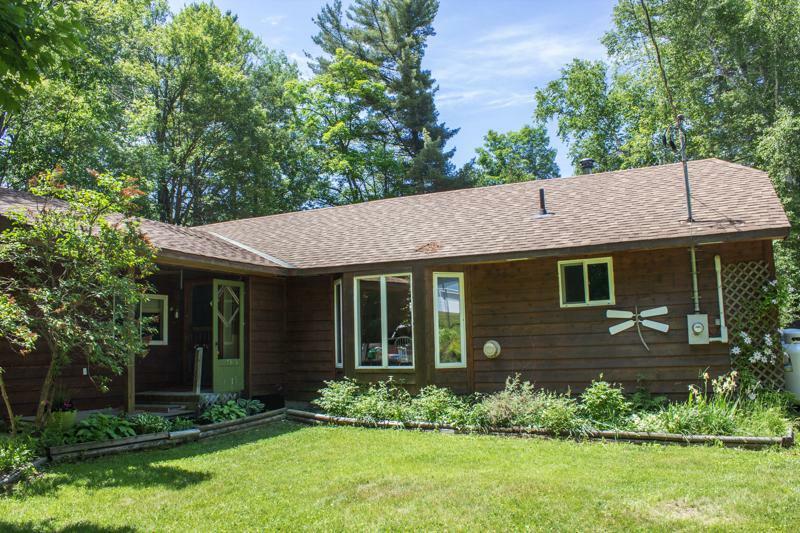 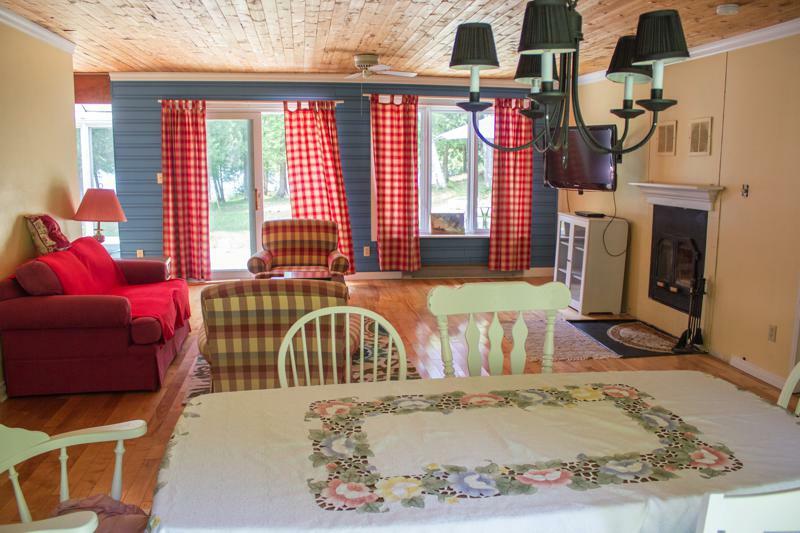 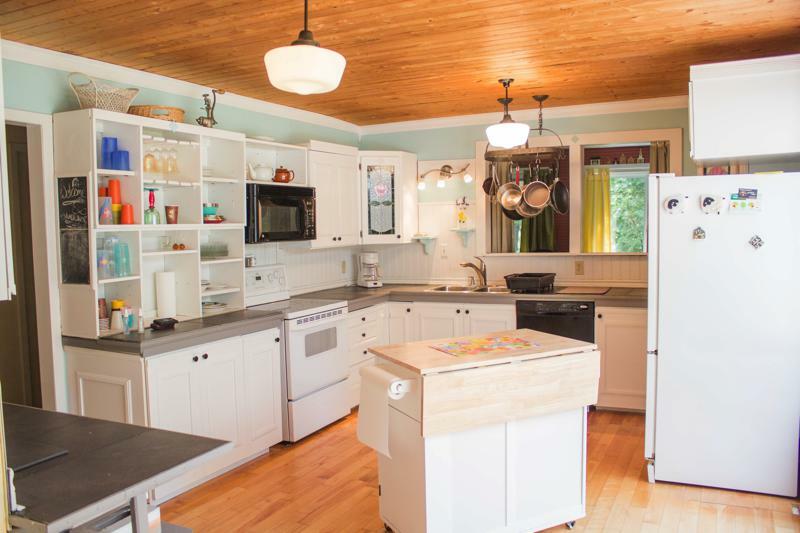 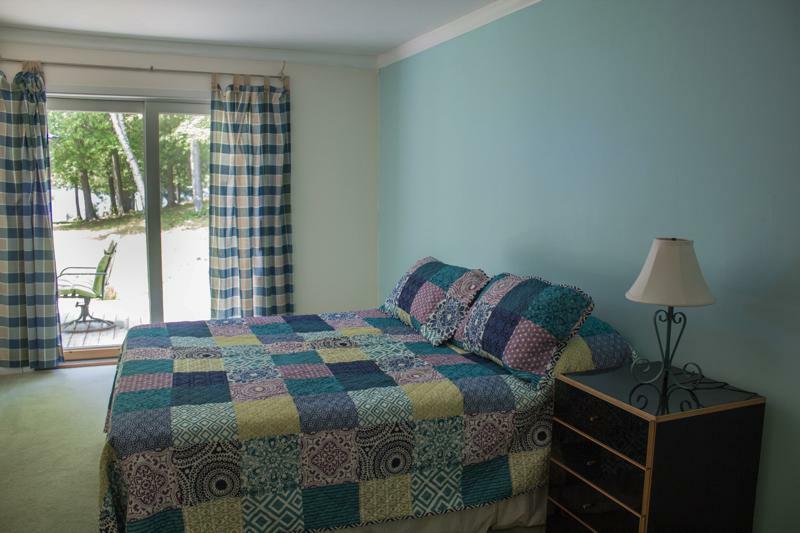 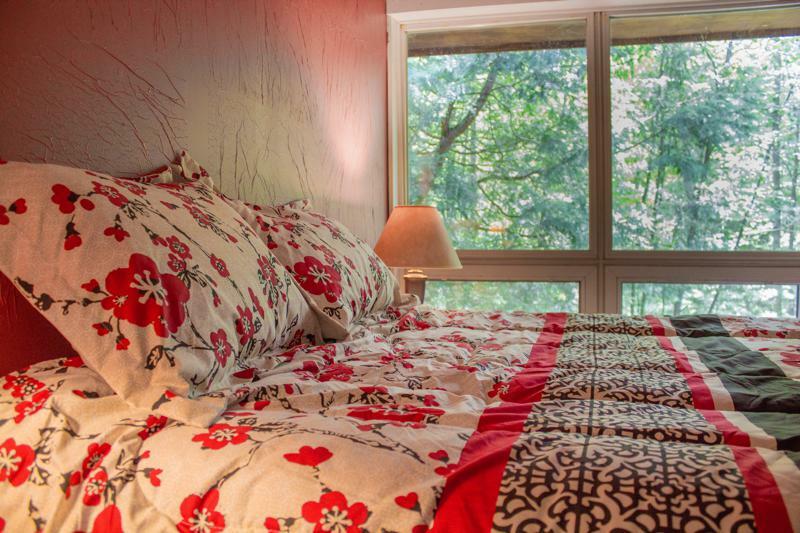 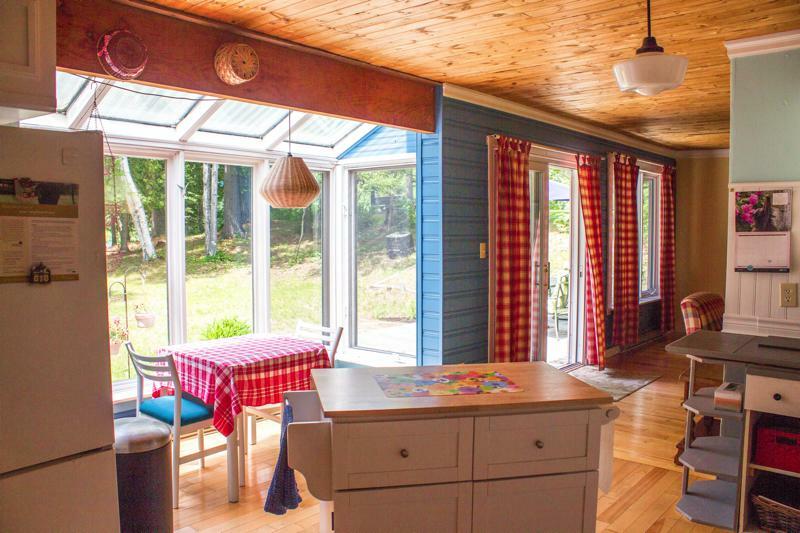 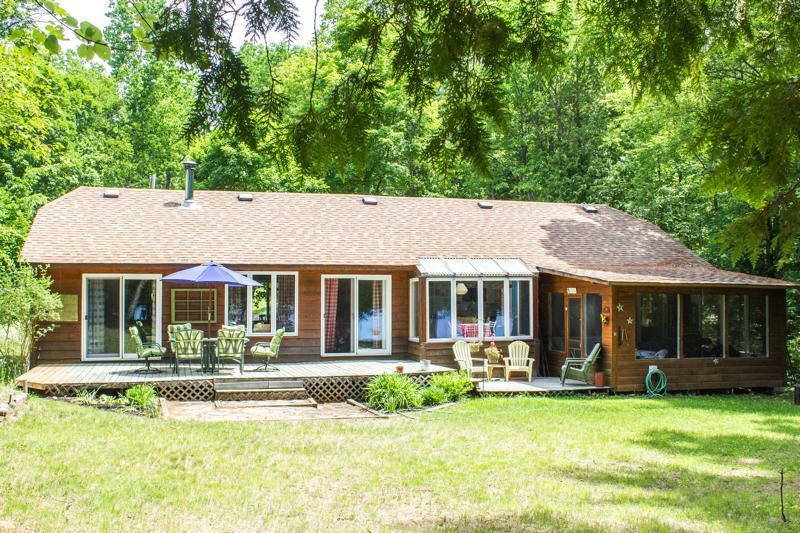 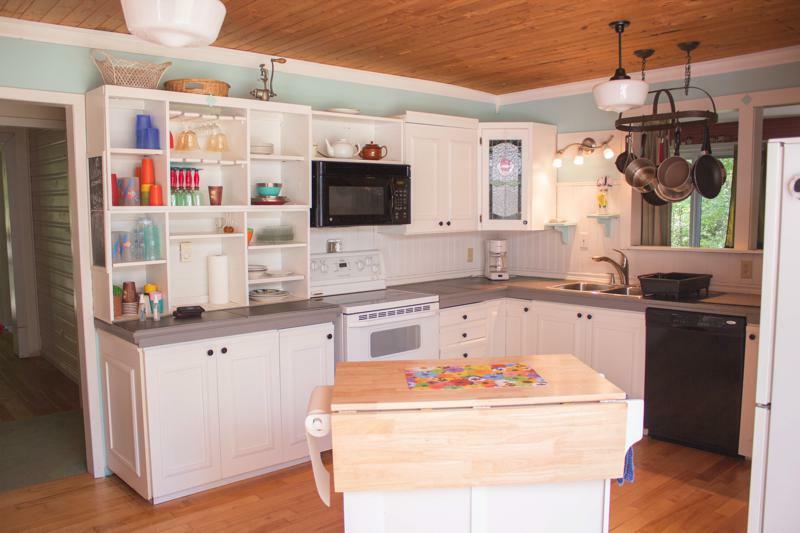 You won’t find old dark wood and paneling in this brightly painted and furnished cottage. 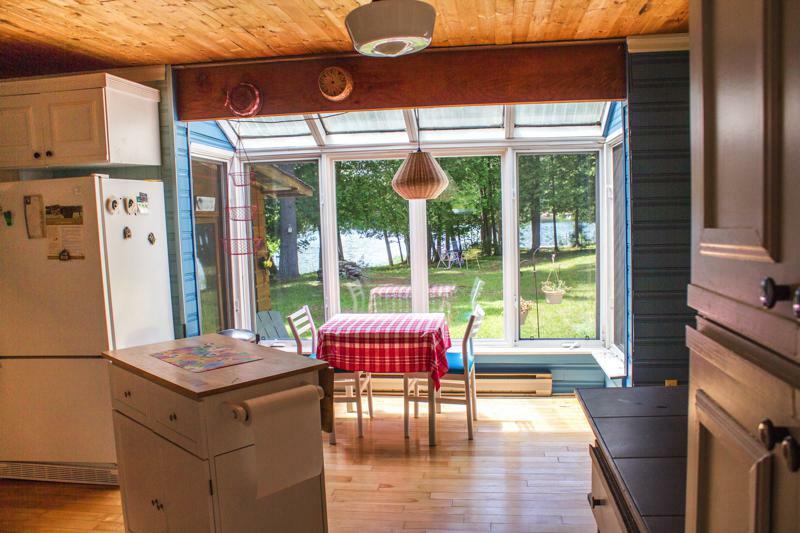 Instead, the light pours in the windows across the lakeside and the colours of the furniture and furnishings create a warm and welcoming space. 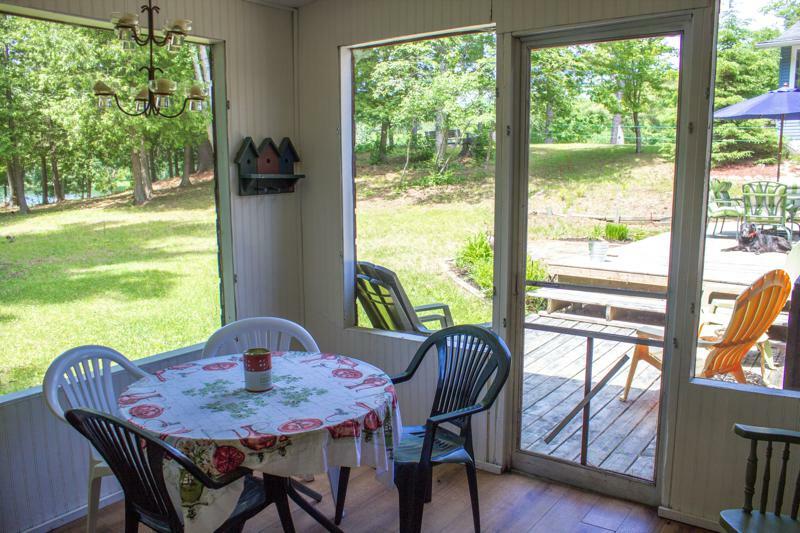 From the spacious living and dining areas through to the cosy dinette and beyond to the ‘reading room’ and screened in porch, there’s a spot for everyone to find their special place. 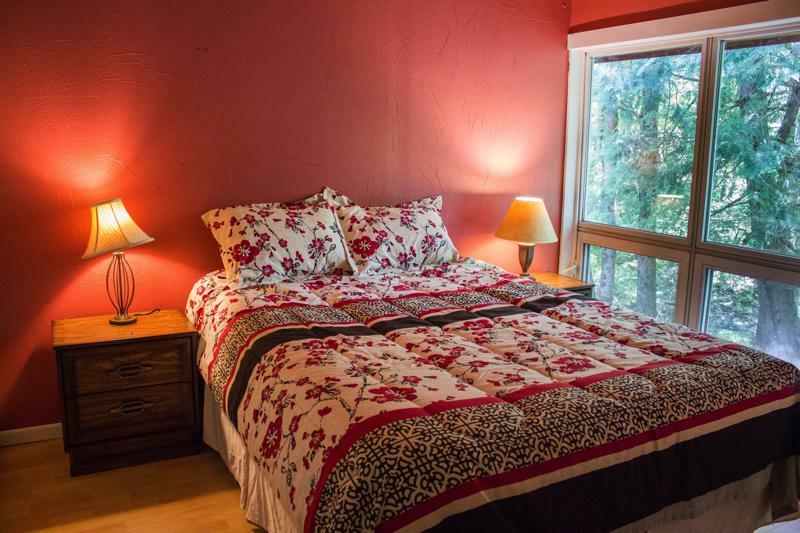 The 3 bedrooms are well spaced out with the master off the living area, with an ensuite bathroom; a double off the hallway just inside the entry door, and uniquely the third bedroom is reached via another bathroom. 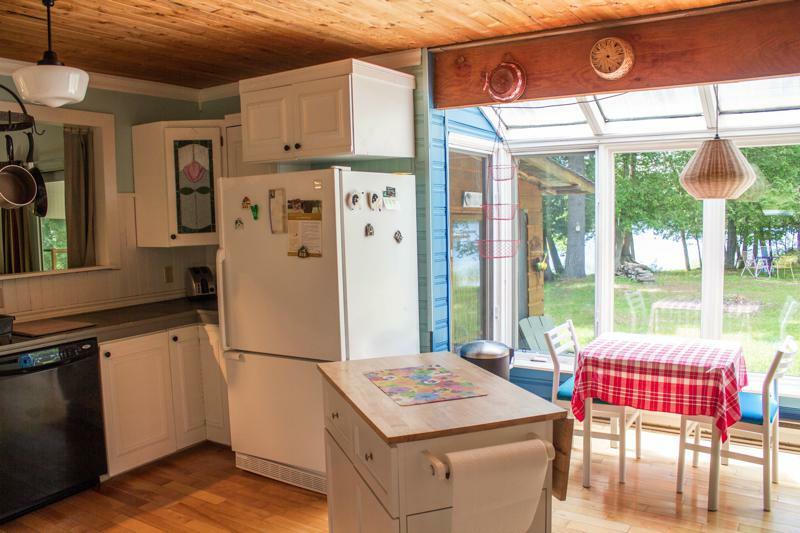 It’s a bit of an odd design but we don’t think it will affect anyone’s enjoyment of this lovely cottage. 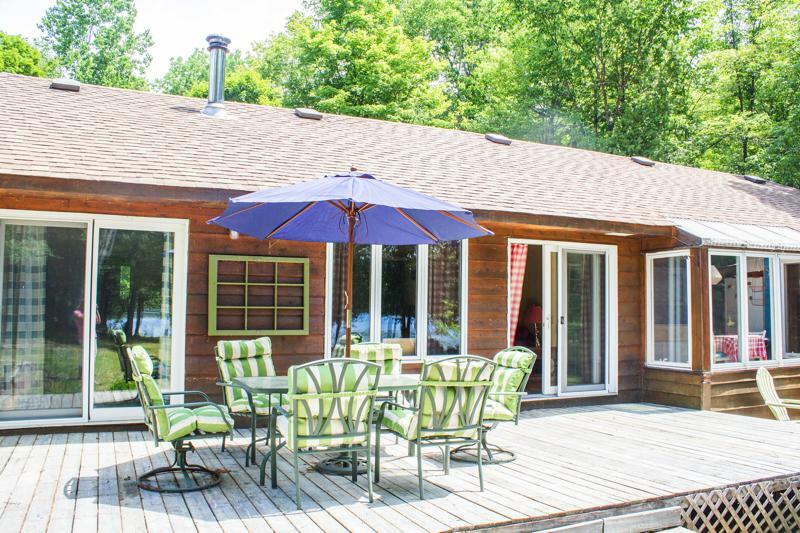 Of course, the kitchen is fully equipped to cater for all the family's needs or just head outside and use the BBQ, and enjoy the results on the patio, under the umbrella. 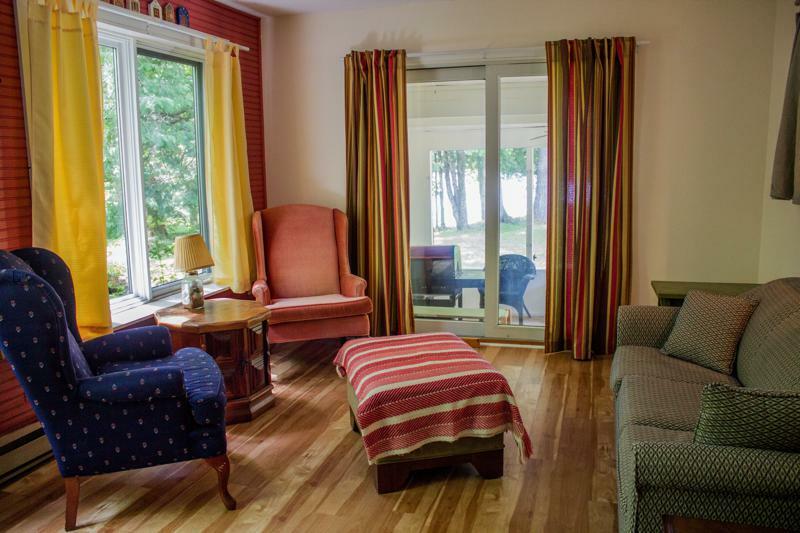 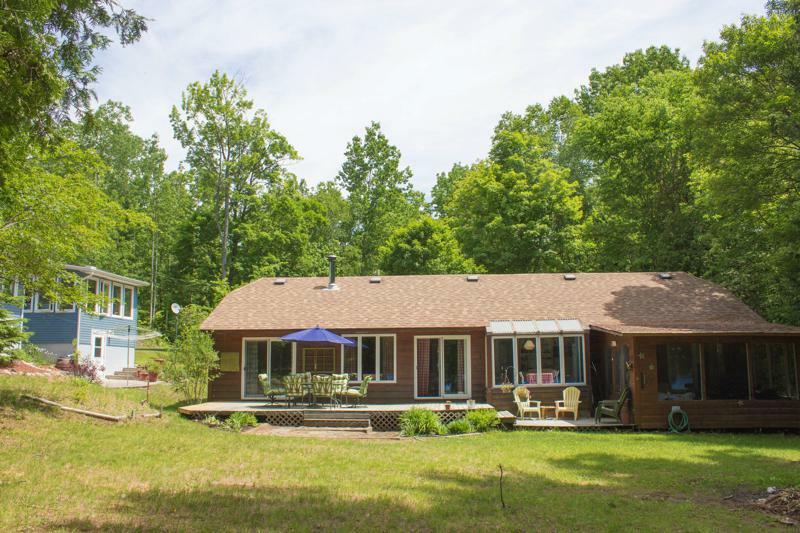 The lawned gardens are level and lead to a delightful lakefront where you’ll find the water about a foot deep at the shoreline with sand underfoot. 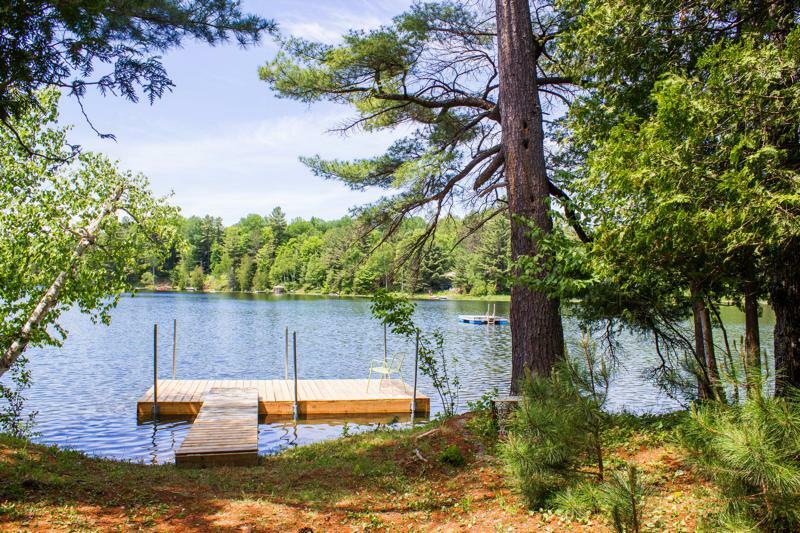 Walk out or swim off the dock and don’t worry about passing watercraft – this is a no-motor lake so there’s no concern about the kids swimming and being buzzed by seadoos, or hit by wake when out on the paddleboat. 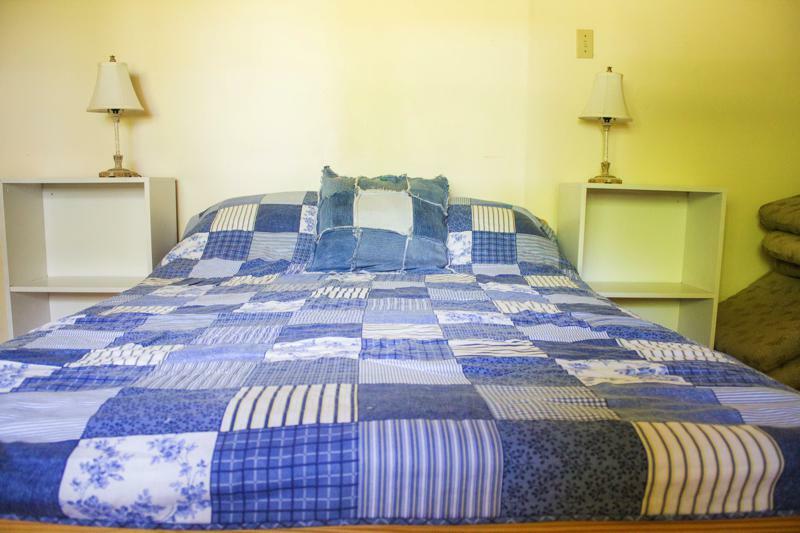 Bancroft is just 10 minutes away for groceries, general shopping and restaurants. 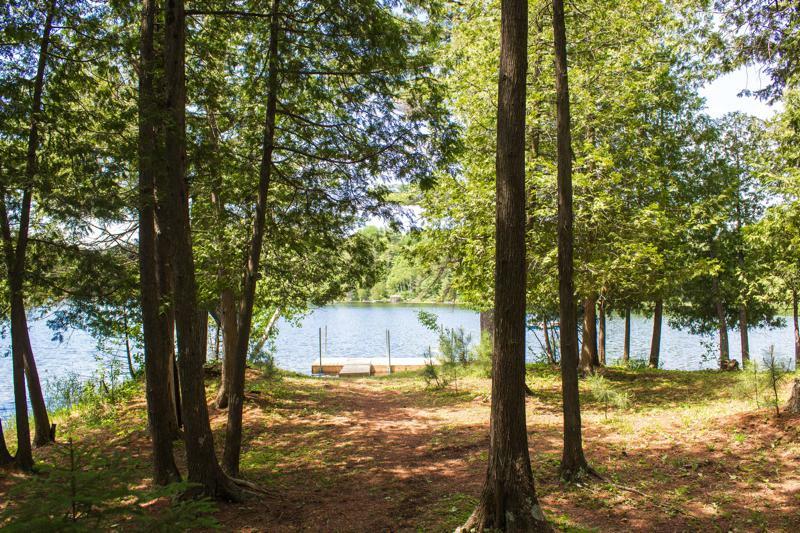 There’s trails nearby for walking your pets and Silent Lake Provincial Park is a 25 minute drive for a day out, a hike and a picnic on the beach. 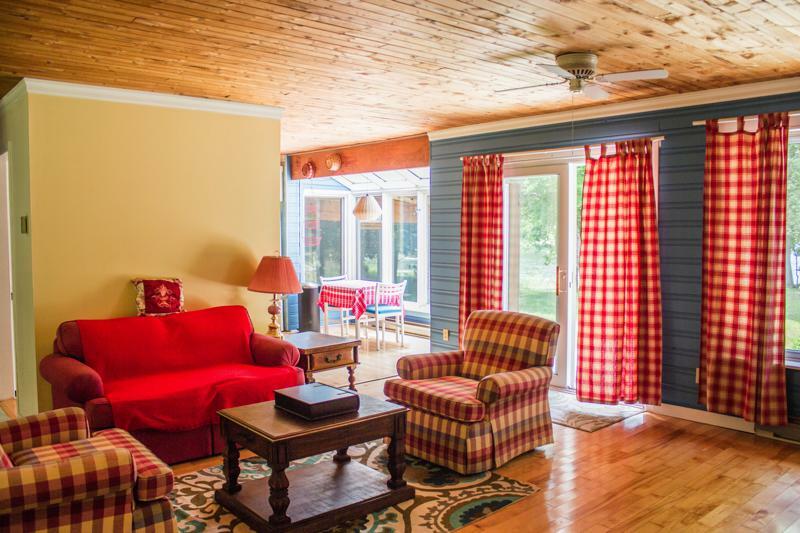 Bring the kids, the dog, and yourselves for a relaxing vacation and make some lasting memories. 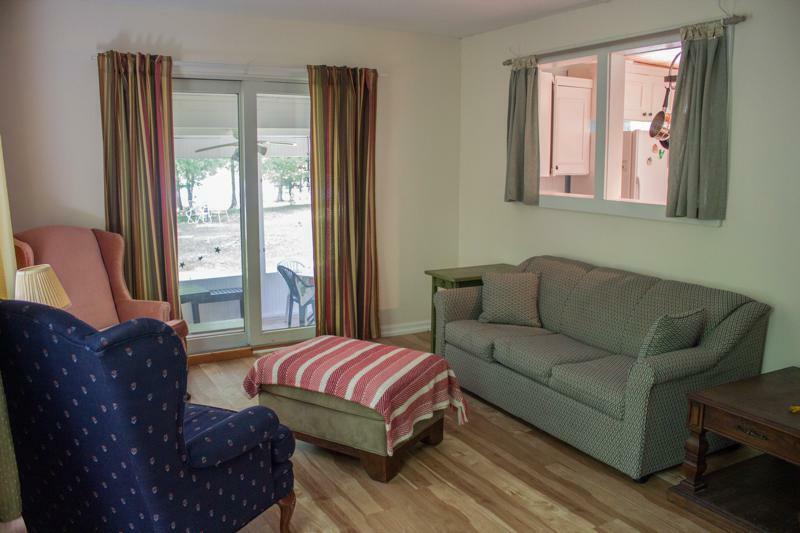 Note: The wall fireplace in the photos is decorative and is not operable. 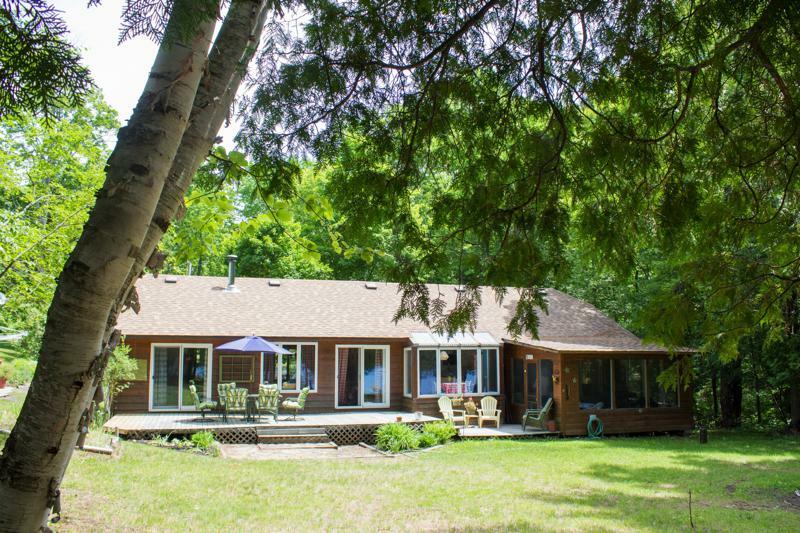 Bancroft is well known in Canada as an excellent location for rockhounding. 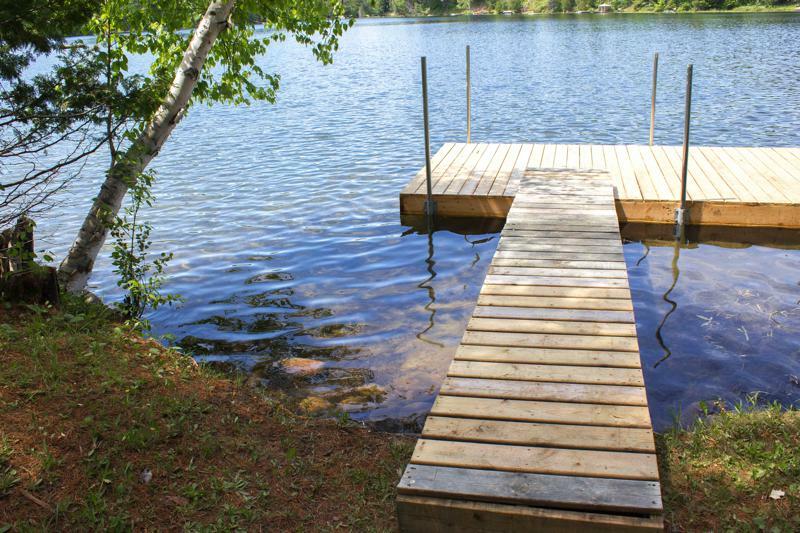 Bancroft styles itself as the "mineral capital of Canada" and holds an annual event in August called the "Rockhound Gemboree".